After World of Wacraft's weekly reset, what things do you always do? Ah, Tuesday — that lovely day where everything in the game resets and that one rare you’ve been hunting for years is alive for exactly 5 minutes before someone other than you gets it — looking at you Time-Lost Proto Drake. The beauty of reset day is that feeling the world is fresh and new and everything has a wonderful chance of happening — whether it’s finding the aforementioned mount or it’s completing World Quests first thing. I have a route I do on reset day. 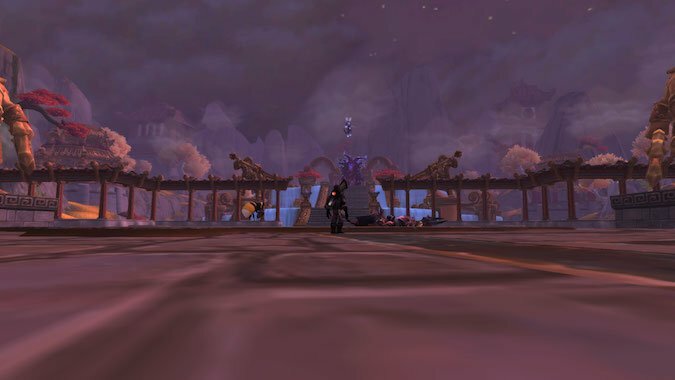 There are some things I’m hunting for — mounts and pets — and I’ve created a route through the World of Warcraft to see if they will drop. Here’s my route. Zone into Stormwind. Take the Cataclysm portal to Mount Hyjal. Fly to Sanctuary of Malorne. Enter the Molten Front. Ride to the area where Karkin spawns to see if he is up. I had him from Cataclysm but when they changed his skin at the beginning of Battle for Azeroth, I was so distressed, I took him home and released him. Now that his skin is back, I go to the Front to see if he’s up. He hasn’t been. I should go every day, but I don’t. After this, I run Firelands because Shannox needs to give me the Blazehound as the last pet for Raiding with Leashes V: Cuteaclysm. Then, I hearth to Old Dalaran using my Ring of the Kirin Tor and fly to Ulduar for Mimiron’s Head. Once Ulduar is finished, I fly to Icecrown Citadel. In a previous post, I opined I needed the Drudge Ghoul to finish Raiding with Leashes IV: Wrath of the Lick King. A guild member had an extra one so I finished that achievement. That means I can go back to 25-man ICC for the inevitable letdown of not getting Invincible. With the new battle pets in Mists of Pandaria raids, I added to my Pandaria route. Take the portal in Old Dalaran back to Stormwind. Then take the portal to Paw’don Village. I don’t have any of the mounts off Galleon, Sha of Anger, or Oondasta. I also lack battle pets from Throne of Thunder and Siege of Orgrimmar. I worked in a clockwise direction — starting with Galleon. I amended that route this week and started with Terrace of Endless Spring, then Galleon, then Heart of Fear, etc. It’s going to take a few weeks to develop the most flying efficient route. When I’ve finished all of this, I go back to Boralus. If I’m in the mood, I’ll go to New Dalaran and work on some Legion things but this is enough for one reset. In reality, the addition of pets in Pandaria raids means my usual route has morphed into a two-day adventure. It takes time to fly from point to point and wait for the bosses to respawn when you get there just as they die. This is what I do on reset. Tell me what you do after a fresh reset. Where do you go?